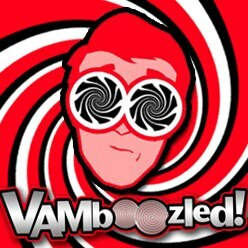 New Texas Lawsuit: VAM-Based Estimates as Indicators of Teachers’ “Observable” Behaviors | VAMboozled! This entry was posted in Lawsuit and tagged Consequences, Consumer Alert!, High Stakes, Measurement Errors, States, Statistics, Tests, Unintended Consequences, Validity by Audrey Amrein-Beardsley. Bookmark the permalink. I suggest that the use of the phrase “student growth” not be used because it refers to a change in test scores between two (or more) points in time. The change can be an increase or not. If an increase, that gain should not be treated as if it is even close to the more robust concept of student growth which is multi-faceted–reaching toward maturity–physical, cognitive, social, emotional and so on. You have a 12 year old who is gangly, not well coordinated in terms of sports or dance, bright in the sense of inventive, inattentive to academic demands, has a crush on a much older person, etc., etc., etc. The economists and statisticians should not be allowed to co-opt the educational meaning and significance of human growth as a life-long developmental process. And of course the SLO is a management tool designed to extract increases in test scores based on “targets” set from an analysis of baseline data–often non-existent. Propogated by William Slotnik and RTT promotions, the SLO deserves some exposure as a fraud, no less than VAM, and from sources with institutional credibility.